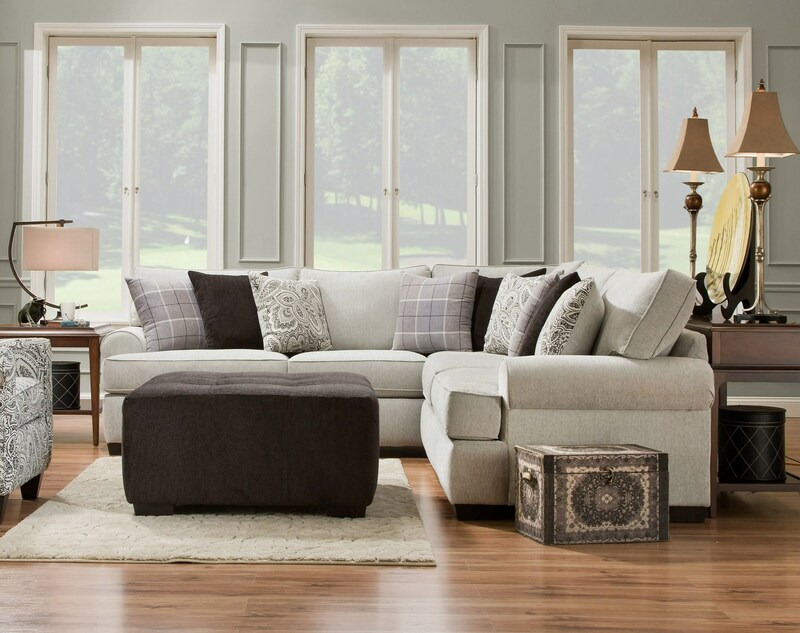 This family room sectional sofa will help you to create a mindset of relaxed comfort in today's busy world. The style of the piece is more relaxed then a straight contemporary style but more decorative then most casual furniture. Throw pillows enhance the piece by adding an element of comfort to the most laid-back room in your home. This piece can seat five or more people making it especially ideal for large families. The Griffin 2 Piece Sectional by Corinthian at Great American Home Store in the Memphis, TN, Southaven, MS area. Product availability may vary. Contact us for the most current availability on this product. The Griffin collection is a great option if you are looking for Transitional Contemporary furniture in the Memphis, TN, Southaven, MS area.